Very happy to hear that my new picture book Oliver (which will be published by HarperCollins in New York in May 2012) just had a lovely review from Kirkus reviews. You can’t read the whole review yet, unless you are a member. 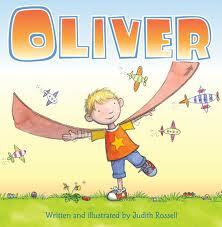 But they give stars to their favourite books, and Oliver got a star. So yay for Oliver. This makes me very happy.